DHL Express is always with you! 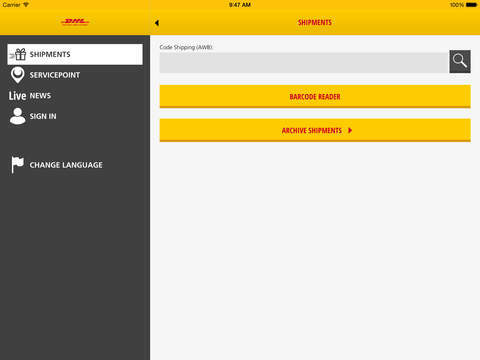 Download the new DHL Express APP Now! 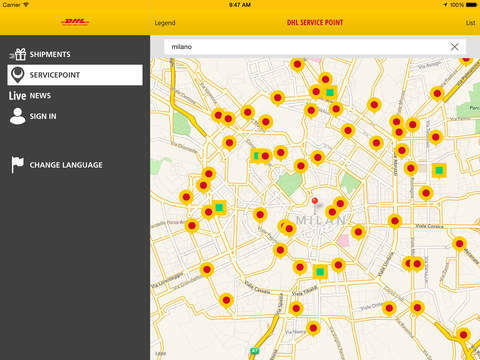 With the new DHL Express APP you can book a pick up at home or everywhere you want, you can choose to bring your shipment to a DHL Point or use a Packstation. Make a quotation in few seconds. Now you can use the DHL Express APP to recall the transport cost considering the destination and the service applied. Choose the passage of a courier or bring your shipment to one of our DHL Service Point or Packstation. 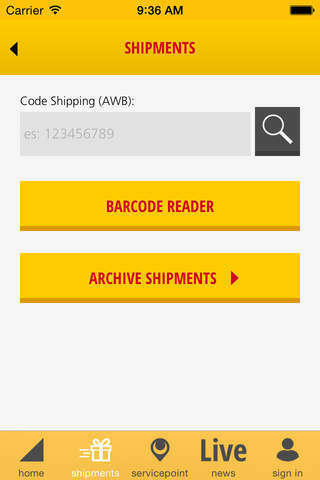 DHL Express Mobile gives you the freedom to check your shipments' status while on the go. 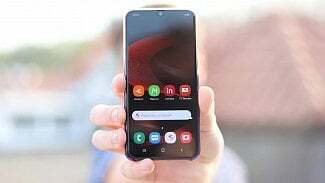 All the functionality you need, on your mobile device: use your smart phone camera to scan the Airway bill barcode and look at the map to locate your shipments and discover the our network, connecting 220 countries worldwide. Enable notifications to receive updates on your shipments. Find the DHL POINT nearest to you and check the opening hours, and the capability available in each store activating the GPS functionality on your device. Be informed and get the updates on the latest market information and new business opportunities thanks to the DHL LIVE NEWS channel. 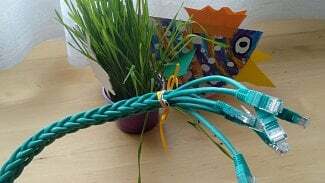 The portal who gives you the right directions to grow together every day.